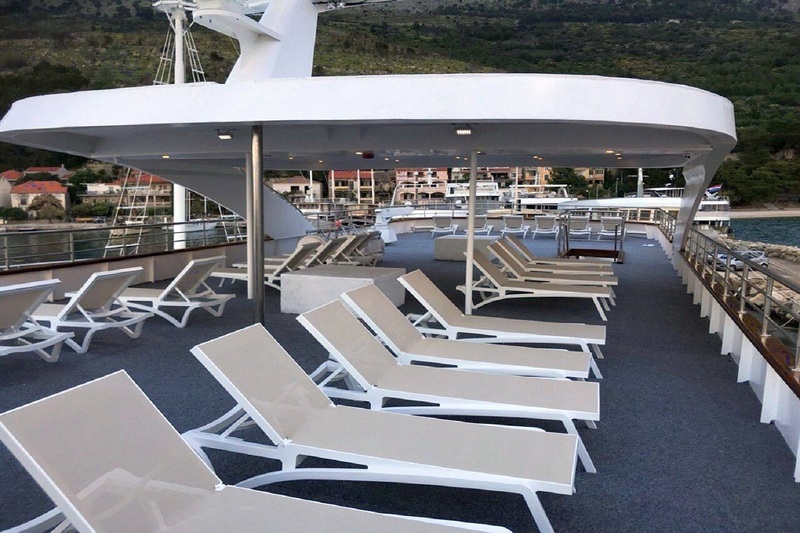 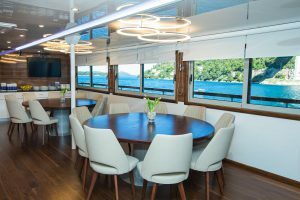 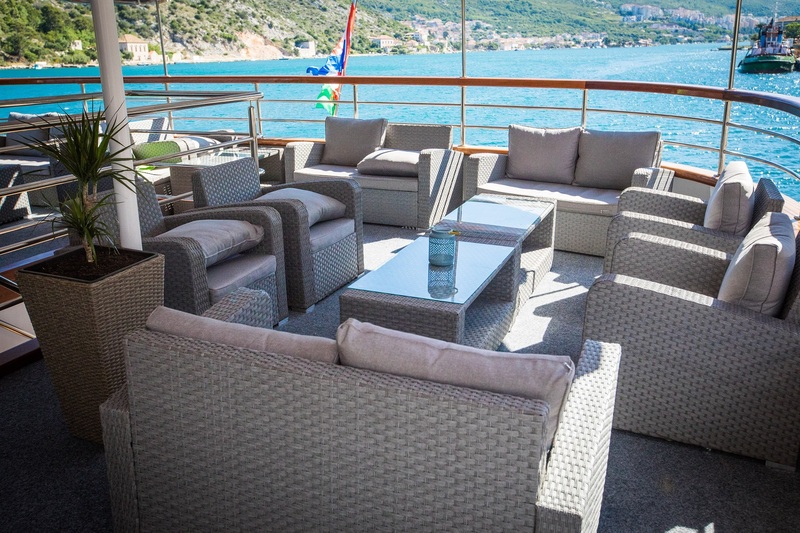 MV Mama Marija is a brand new Deluxe Superior vessel built for the 2018 season. 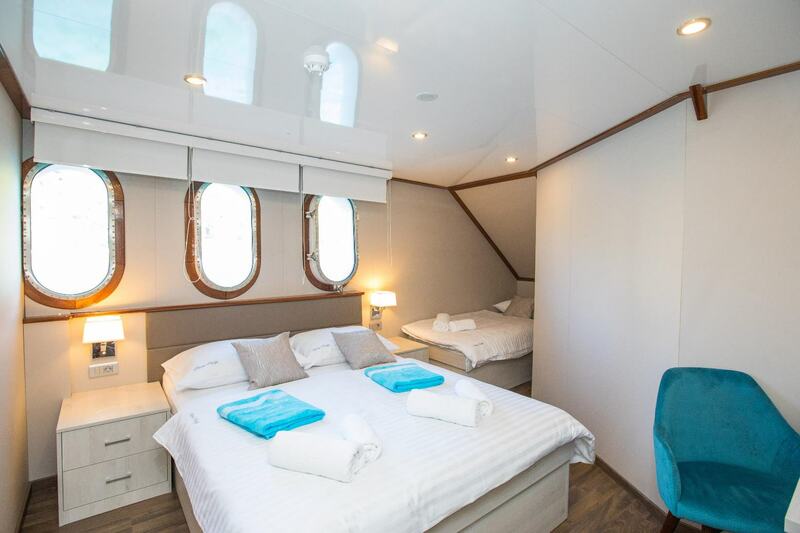 It has 18 spacious cabins, accommodating up to 36 passengers. 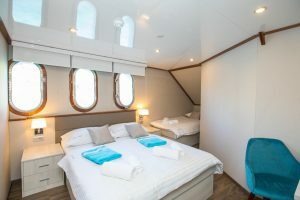 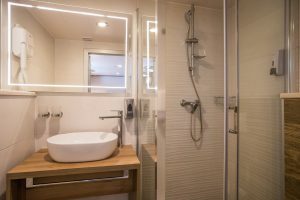 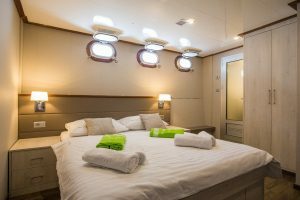 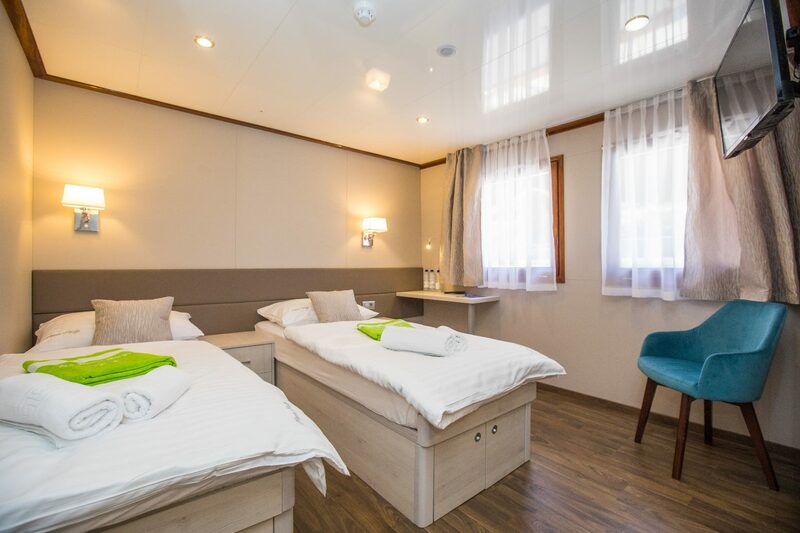 All cabins are air-conditioned and feature a double or twin beds, private ensuite bathroom, hair dryer, wardrobe, Wi-Fi and ample storage space. 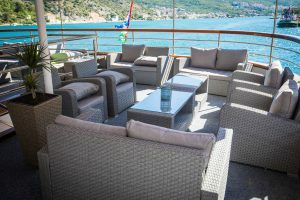 The ship features an extra-large full air-conditioned salon-restaurant with bar, LCD TV, Wi-Fi and panoramic windows. 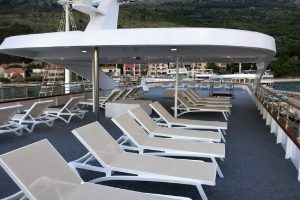 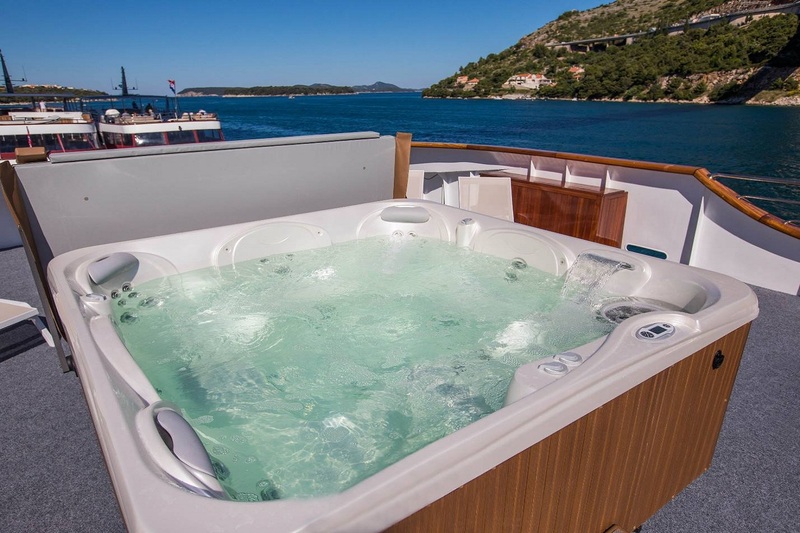 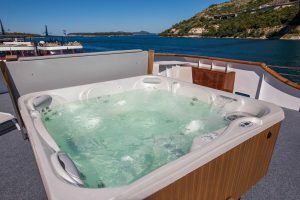 Outdoor features include a covered terrace with ample seating, a swimming platform for easy access to the sea as well as a Jacuzzi on the sun deck. 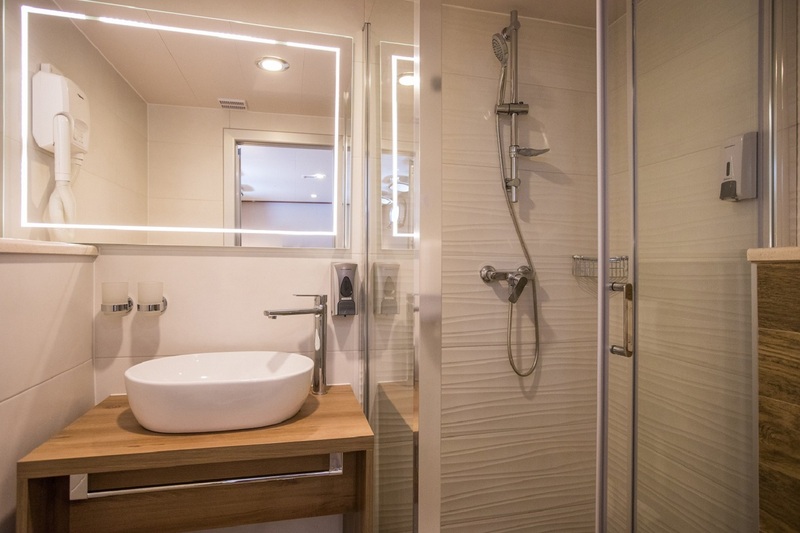 Included: En-suite, A/C, Toiletries, TV, Safe, Hair dryer, Wardrobe, Desk.